FORMER superstar pacer Captaintreacherous was in high demand at the Lexington Selected Yearling Sale yesterday. Whether it be a youngster related to or sired by the multi-millionaire, the Captaintreacherous connection was a highly sought-after commodity – including the sales topper! A colt by Somebeachsomewhere from Worldly Treasure went under the hammer for $360,000 to successful bidder John Cancelliere. Described as a ‘perfect specimen’, Treasure Trove is a brother to Captaintreacherous. Elsewhere at the sale Das Deo, a colt by Captaintreacherous sold for $300,000 to Dana Parham. Das Deo is a half-brother to Dan Patch Award winner I Luv The Nitelife, with the family also including Dan Patch Award winner, Lis Mara . Force N Fury, another colt by Captaintreacherous, attracted a bid of $300,000. 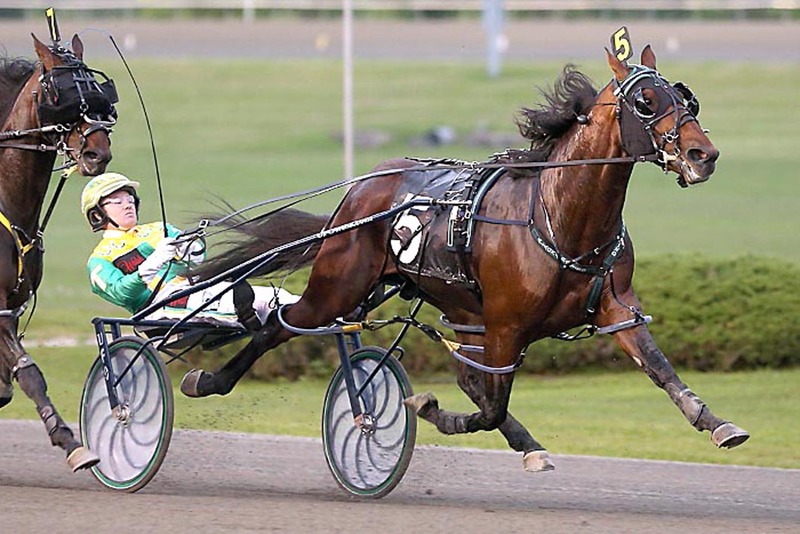 At the close of the first night of the five-day sale, Captaintreacherous topped the pacing sires in gross, with 19 of his progeny fetching a total of $2.29million at an average of $120,632. Captaintreacherous’ sire Somebeachsomewhere showed his son how it’s done with an average of $144,615 for his 13 yearlings.